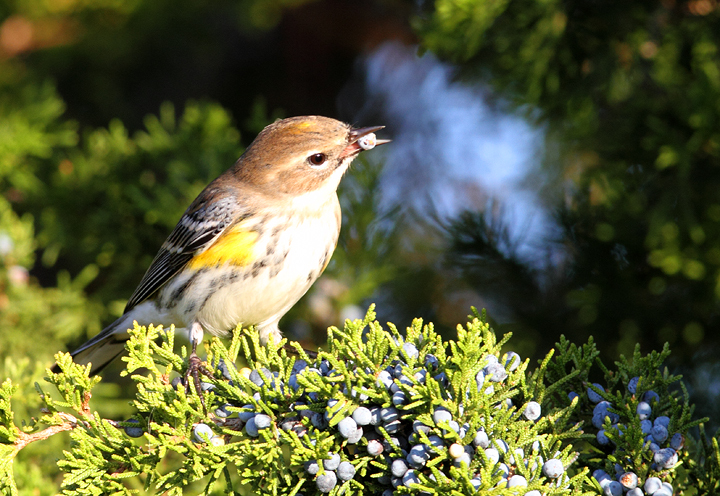 Coastal Maryland in early November. 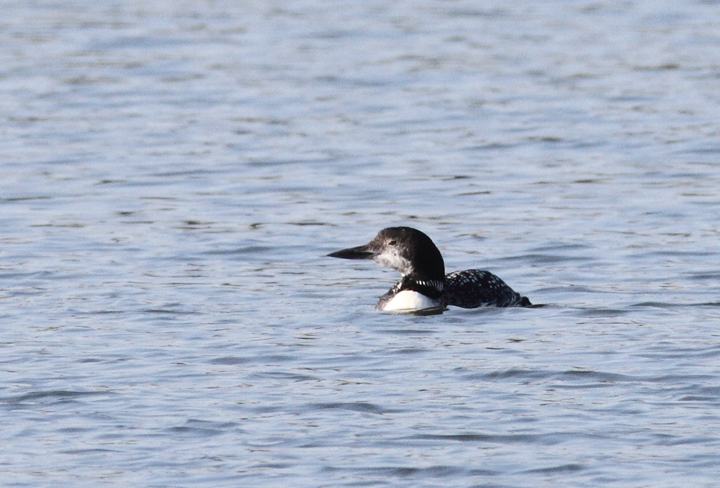 Last updated: 11/7/2009. 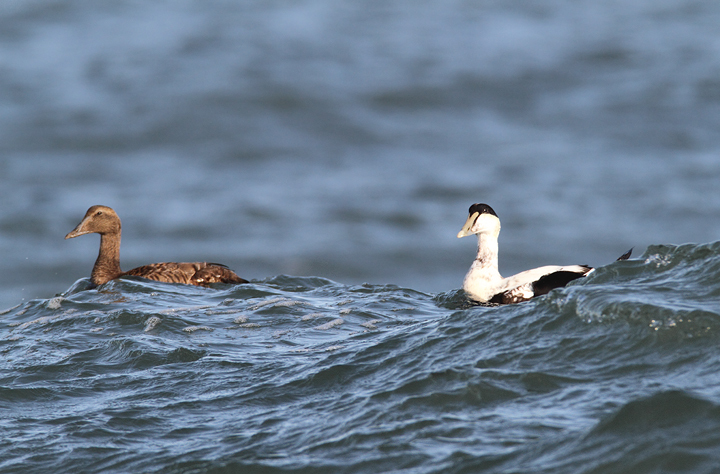 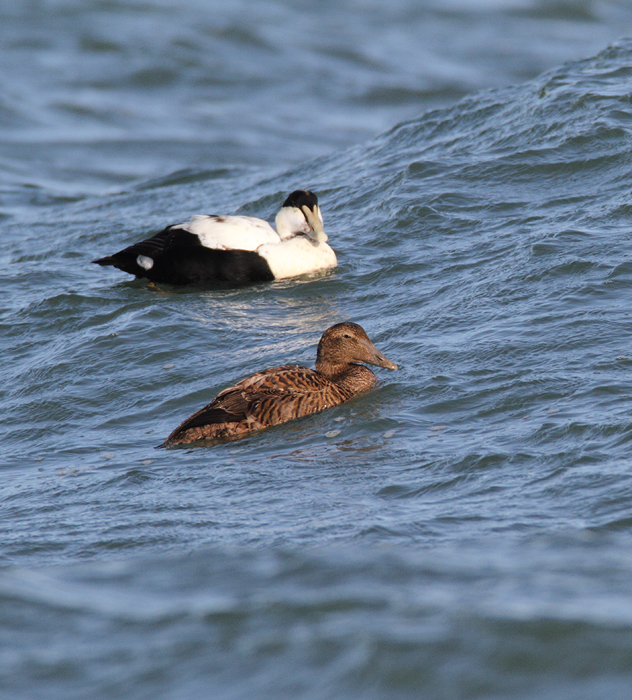 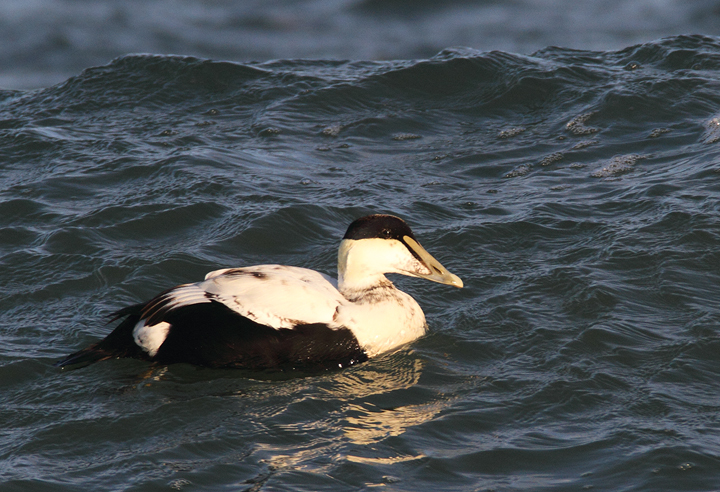 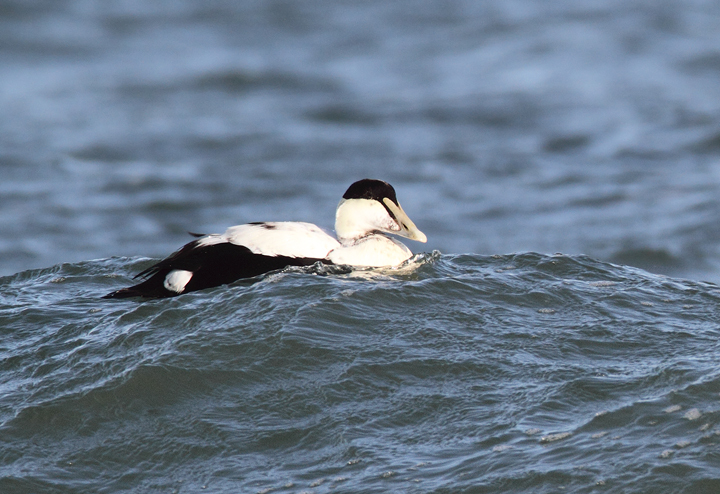 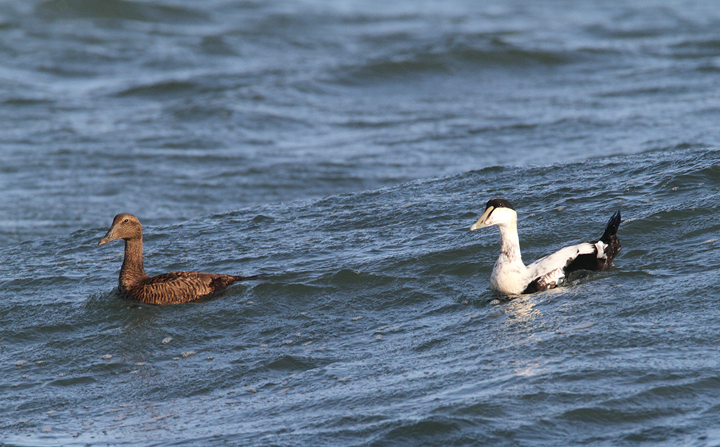 Above and below: Common Eiders were unusually cooperative at the Ocean City Inlet today, with four individuals hanging out in the surf around the north jetty (11/7/2009). 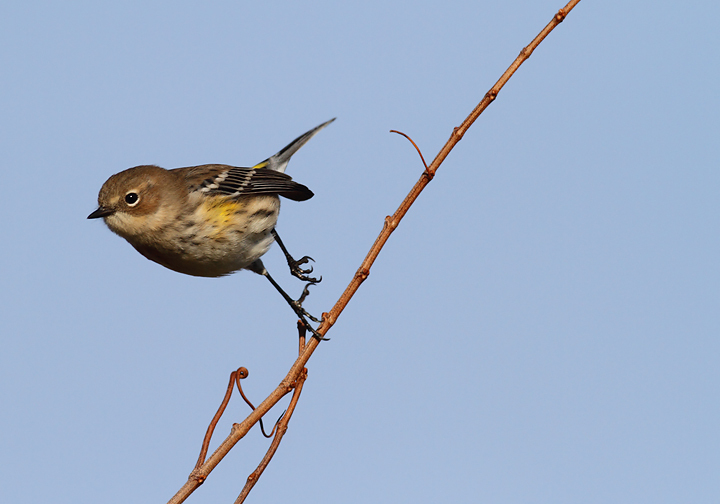 These were easily my best views of the species in Maryland, which is at the southernmost part of the species' winter range. 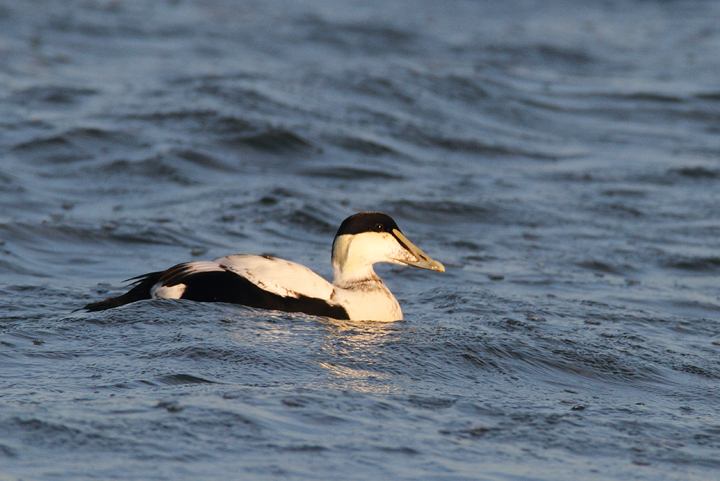 The exceptional views of adult males were particularly cool. 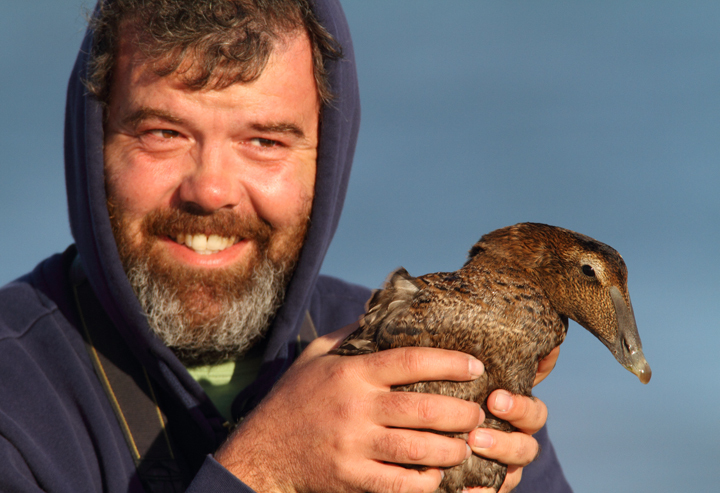 One female was accidentally caught by local fishermen, and Jim Brighton helped rescue the bird. 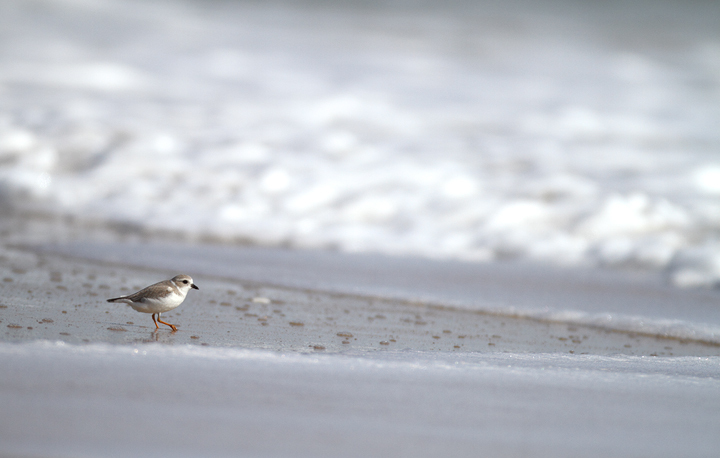 He removed the hook, untangled the wing from the line, and carefully placed her in the surf - after a quick study and a photo or two, of course. 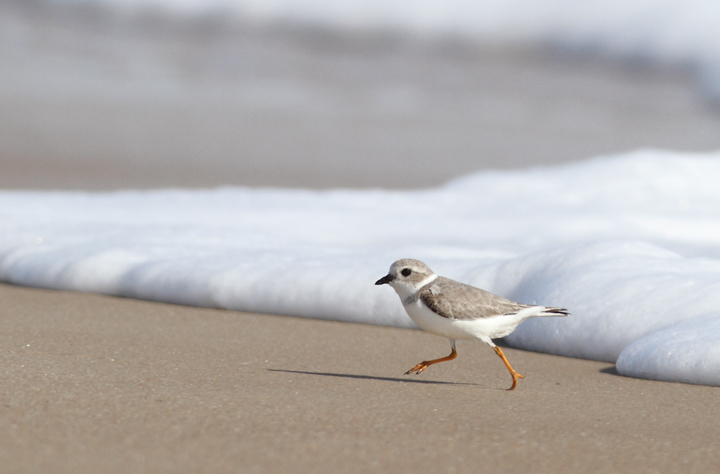 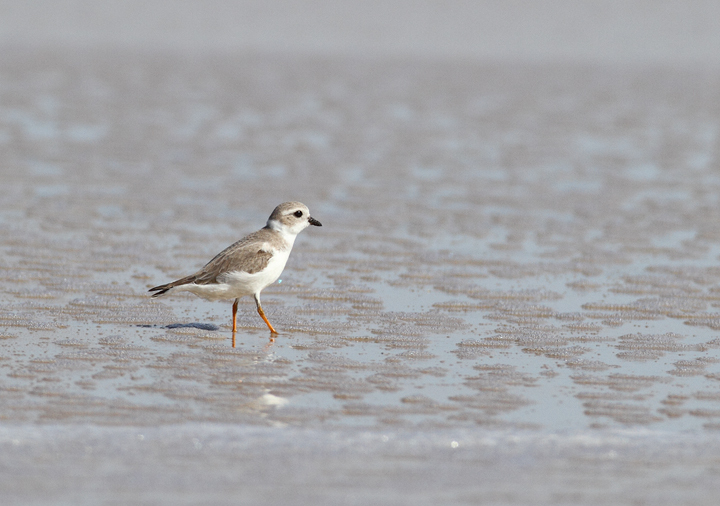 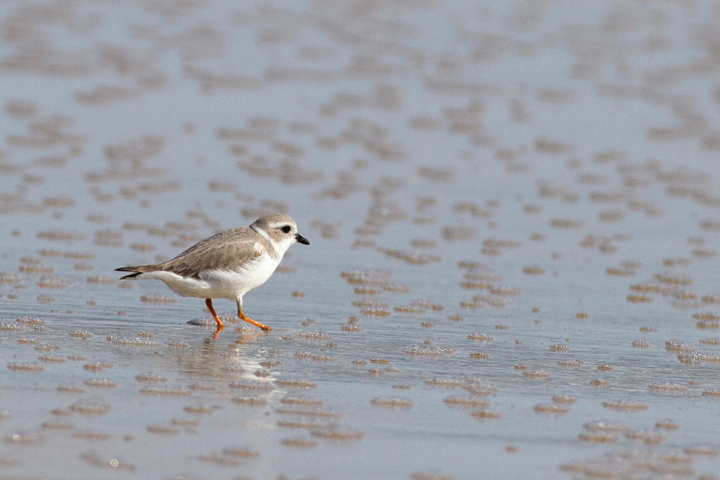 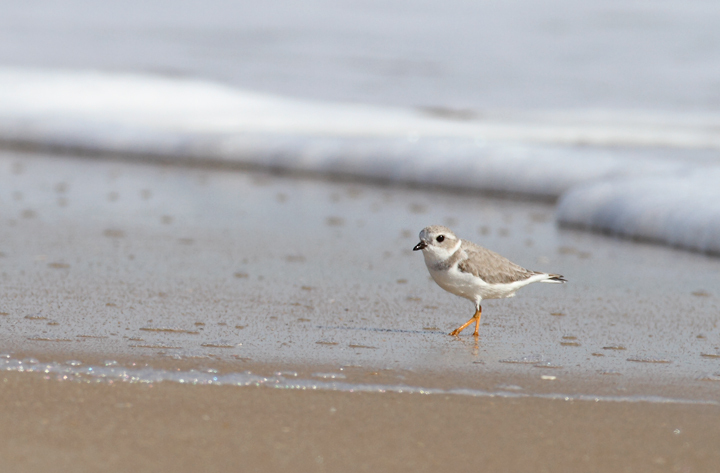 Below: A Piping Plover lingers on Assateague Island, Maryland (11/7/2009). 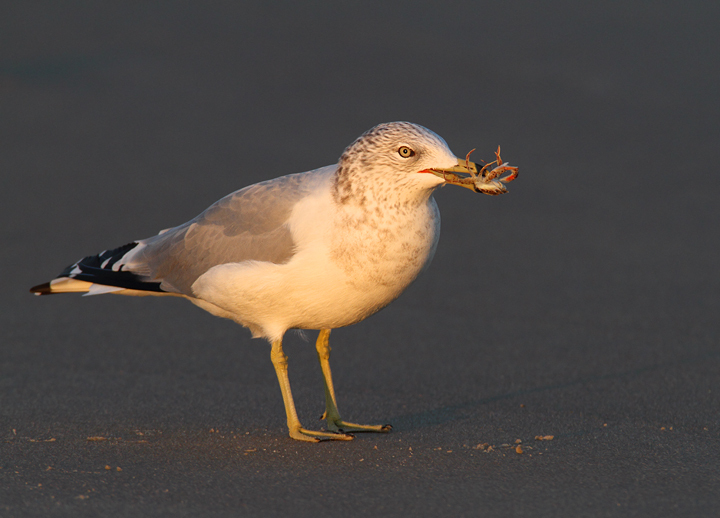 This bird was feeding at the surf line, shaking a foot repeatedly to stir up its tiny prey items. 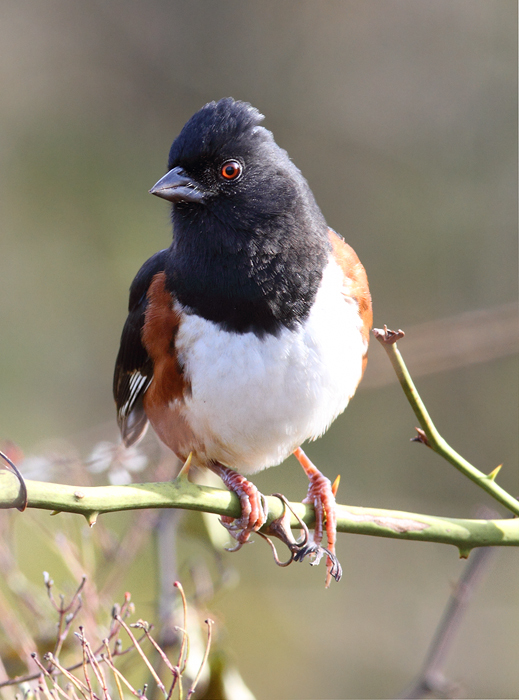 Below: A male Eastern Towhee on Assateague Island, Maryland (11/7/2009). 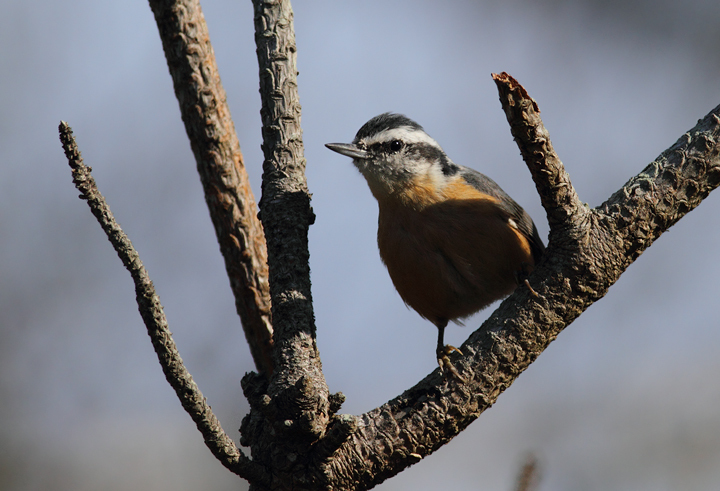 Below: A Red-breasted Nuthatch at Assateague State Park, Maryland (11/7/2009). 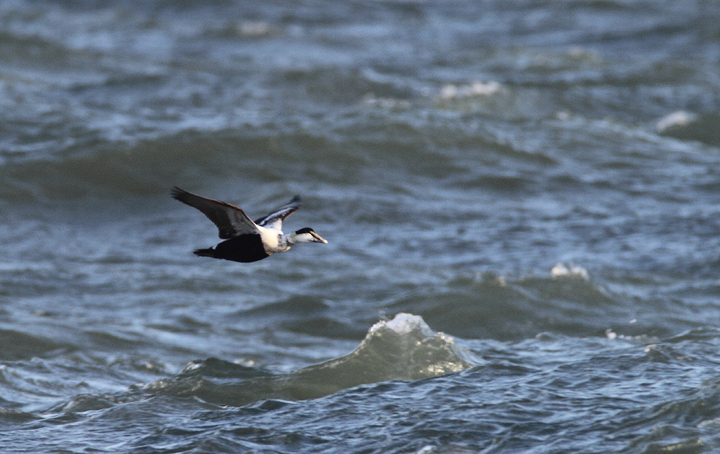 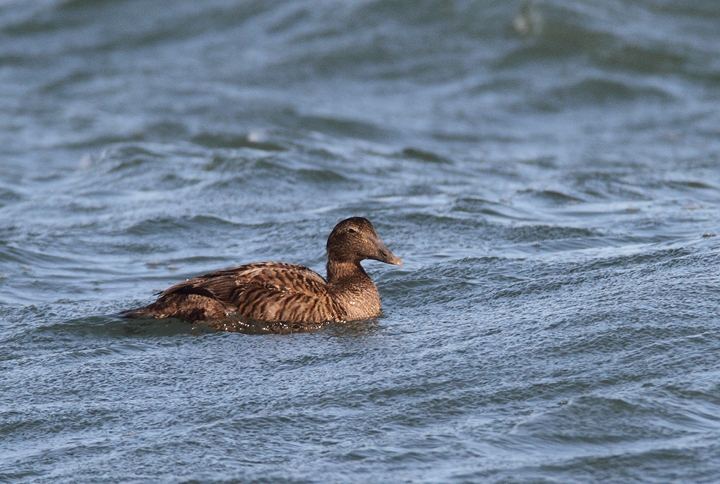 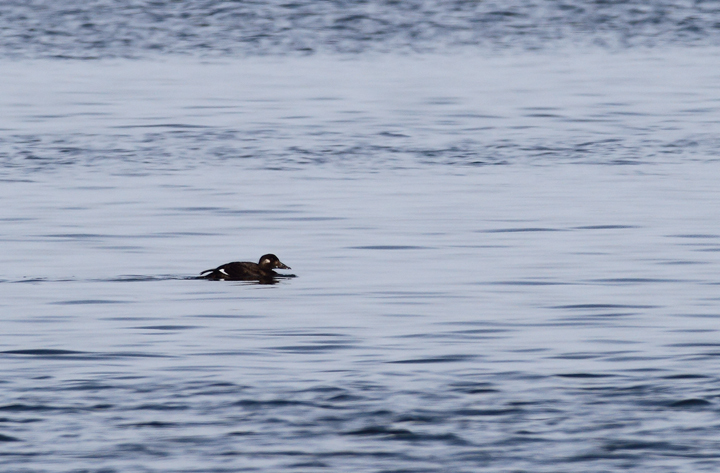 Below: A White-winged Scoter hanging out just off Assateague Island, Maryland (11/7/2009). 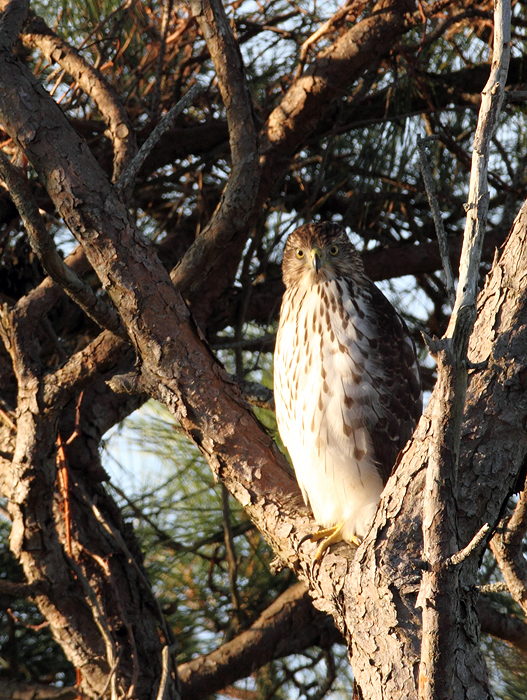 Below: A Cooper's Hawk prowling the Bayside Campground on Assateague Island, Maryland (11/7/2009). 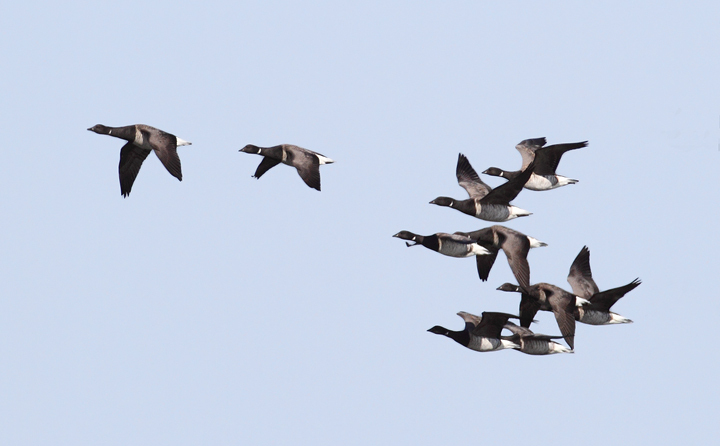 Below: A flock of Atlantic Brant off Assateague Island, Maryland (11/7/2009). 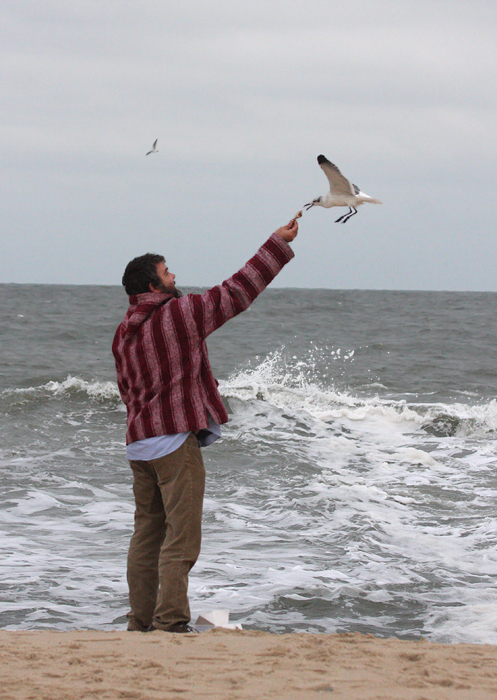 Below: Jim Brighton bonding with the Laughing Gulls of the Ocean City Inlet, Maryland (11/1/2009). 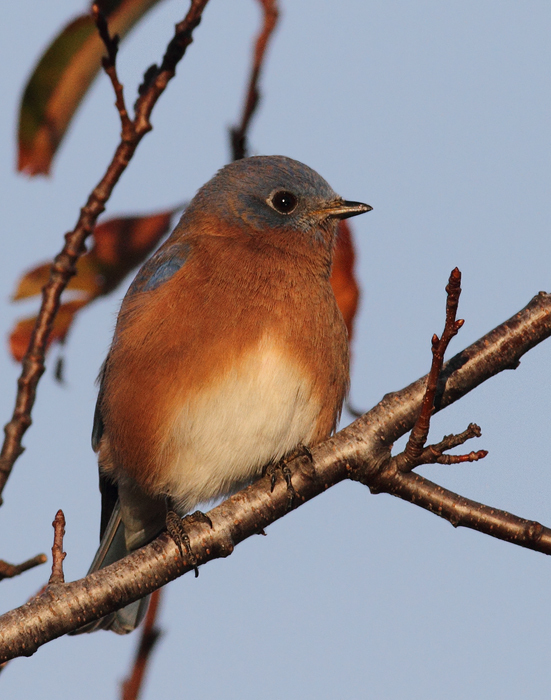 Below: An Eastern Bluebird at Bayside, Assateague Island, Maryland (11/7/2009). 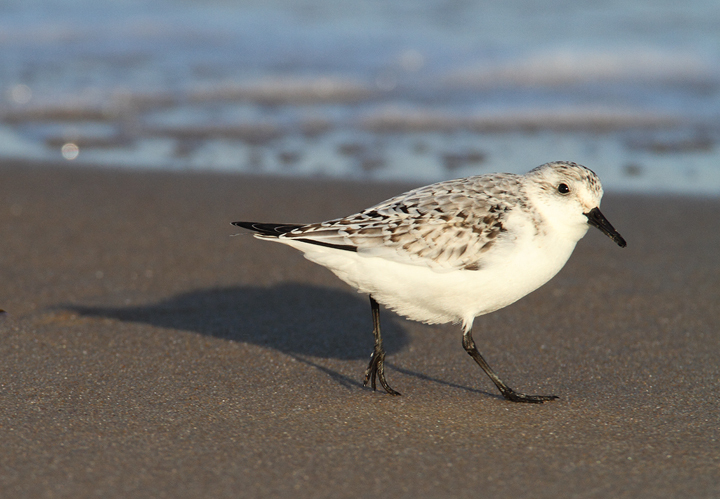 Below: A Sanderling forages beside the north jetty at Ocean City Inlet, Maryland (11/7/2009). 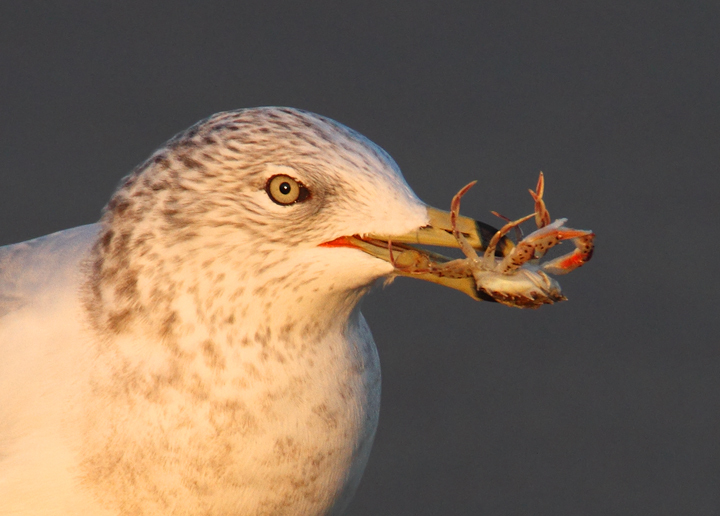 Below: A Ring-billed Gull enjoys a crab feast in Ocean City, Maryland (11/7/2009). 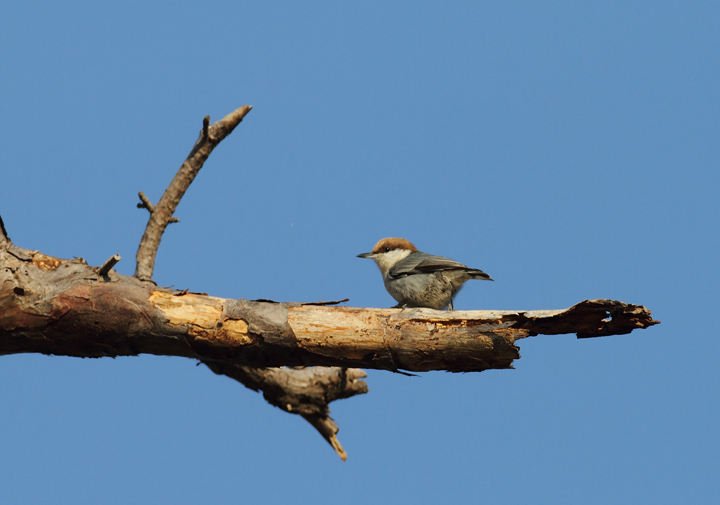 Below: A Brown-headed Nuthatch at Eastern Neck NWR, Kent Co., Maryland (11/8/2009). 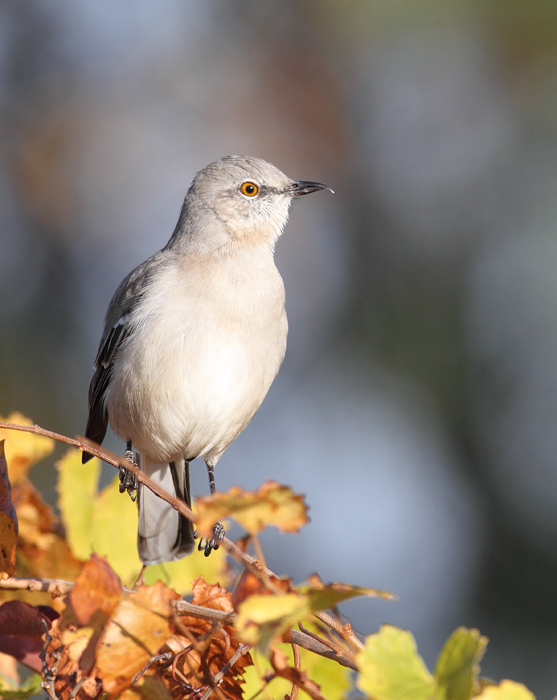 Below: A Northern Mockingbird on Assateague Island, Maryland (11/7/2009). 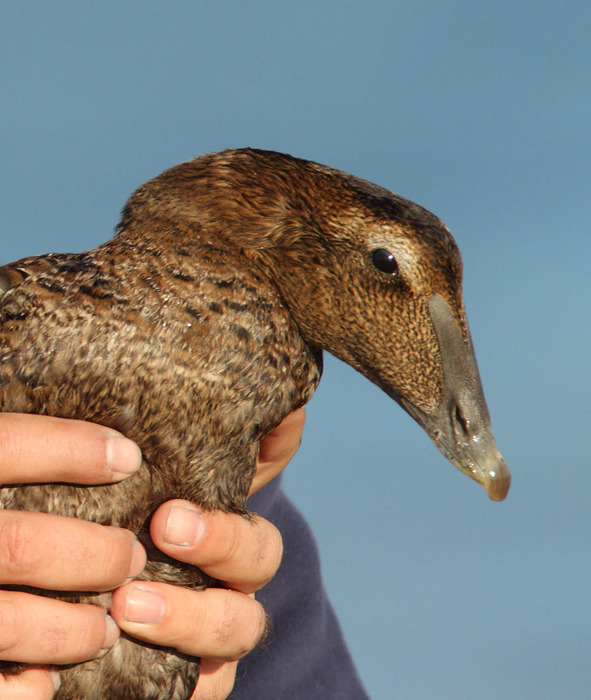 Note the unusual upper mandible shape. 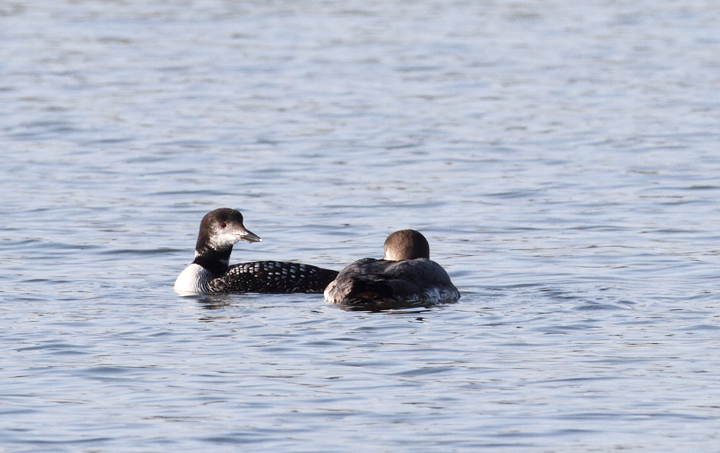 Below: Common Loons at Bogle's Wharf, Eastern Neck NWR, Maryland (11/8/2009). 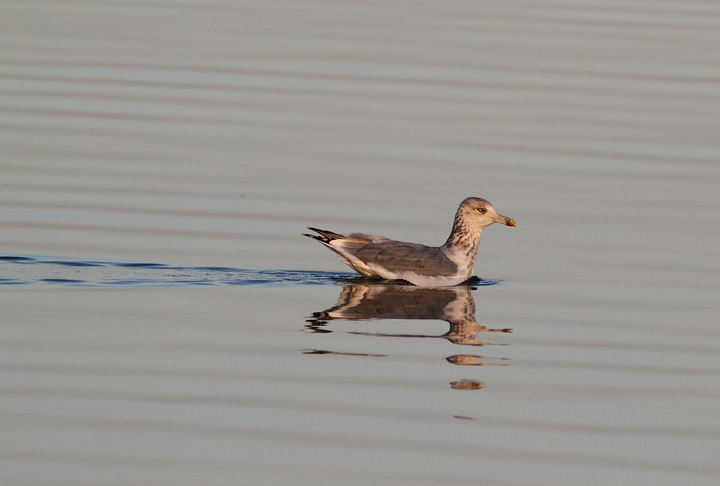 Below: A Herring Gull at sunrise on Assateague Island, Maryland (11/7/2009). 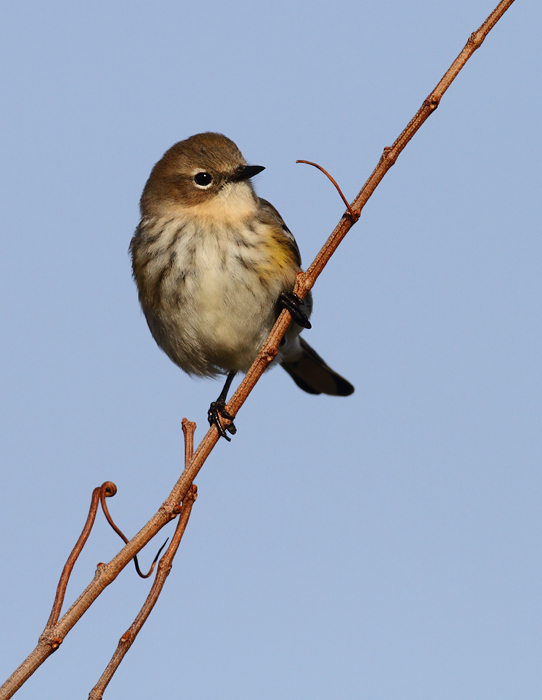 Below: Myrtle Warblers on Assateague Island, Maryland (11/7/2009).